Canadian flutist Todd Skitch joined the Atlanta Symphony Orchestra (ASO) in September 2013. 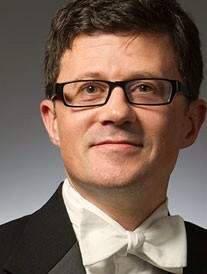 He is also a member of the Atlanta Chamber Players and is the Artist-in-Residence at Kennesaw State University. Mr. Skitch started his orchestral career with the Memphis Symphony Orchestra in 1997 after completing degrees at the University of Toronto and McGill University in Montreal, where his principal teachers were Timothy Hutchins and Nora Shulman. Mr. Skitch’s career as a teacher and symphony musician includes many credits: an original member of the IRIS Orchestra with Michael Stern; Bellingham Festival of Music; Memphis Chamber Music Society; Tanglewood Music Center; Blossom Music Festival at Kent University, where he received the Maurice Sharp Award for outstanding flute applicant; Spoleto Festival USA; and the National Repertory Orchestra.While in Memphis, Mr. Skitch served as the Chair of the Board of Directors and the Orchestra Manager for the Memphis Youth Symphony Program and taught flute at Rhodes College. Mr. Skitch has been heard on CBC Radio-Canada, WKNO-Memphis, and as a soloist with the Memphis Symphony and IRIS Orchestra. In 2003 Todd joined the Canadian group Ensemble Noir on a historic, three-nation African tour to Ghana, Nigeria, and South Africa.